Reap is my new book that is in development. It will be published by 2/2015. This will be my last publication for sometime as I will focus my efforts on getting this book in as many hands as possible. Reap is a process book that is for the general audience, not just high school students. Reap will be a quick read that will cause some real deep thinking on the reader’s part. Check here for updates. Chapter blogs will start December 22, 2014. 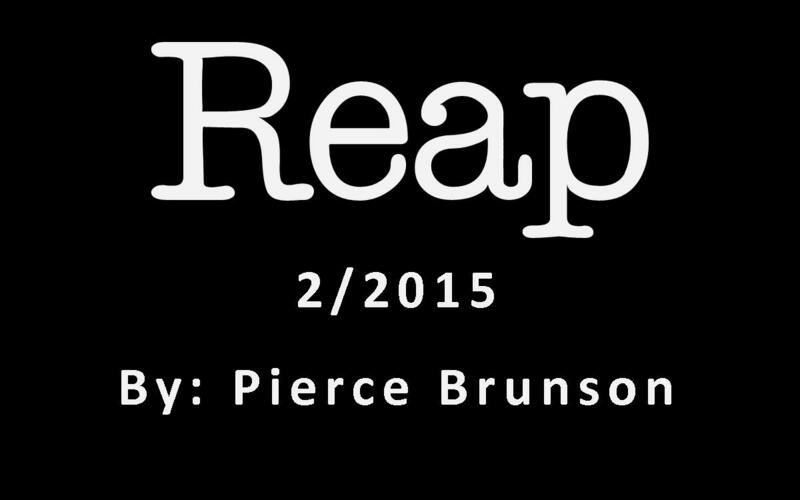 Reap by Pierce Brunson publish date 2/2015.